Blackburn Rovers v Blackpool - Football. Players surround referee Howard Webb at the final whistle. English football authorities hope a new initiative will clamp down on indiscipline in the game. The Football Association, Premier League and English Football League have announced a collective set of guidelines for players and management to abide by or be penalised. The rules mean yellow cards will be issued to players who visibly show disrespectful behaviour to any match official, respond aggressively to decisions, confront an official face to face, run towards an official to contest a decision or make offensive, insulting or abusive language and/or gestures towards match officials. A yellow card will be issued for at least one player when two or more from a team surround a match official and the FA will continue to sanction teams when they surround match officials. Futhermore, yellow cards will be issued for physical contact with any match official in a non-aggressive manner and red cards for aggressive or confrontational manner. And it’s not just on the pitch that the authorities are looking at. Richard Scudamore, Executive Chairman of the Premier League, said: “We and our clubs have been discussing for some time concerns that certain elements of player behaviour are overstepping the mark and it is our collective position that these types of behaviour should no longer be tolerated. Shaun Harvey, EFL Chief Executive, said: “Our domestic football has traditionally been admired for its excitement and sense of fair play. However, there are rising concerns amongst supporters, clubs and the football authorities about declining standards of on-field behaviour by some players and managers. Martin Glenn, Chief Executive, The FA, added: “We welcome this joint initiative with the Premier League and EFL to promote positive behaviour across the game. It will help reinforce the proactive approach The FA has taken to supporting referees when dealing with disciplinary issues in recent years. 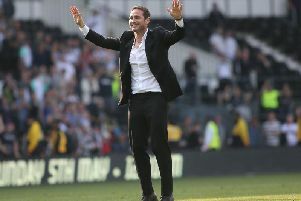 English football is known for its competitive nature but in the last four seasons the three authorities have noticed a surge in some instances of intolerable behaviour by players and managers.